During the holiday season, Boyertown Area-Multi-Service works extremely hard to make sure that local families who are struggling will still be able to enjoy the holidays. Thanksgiving Meal Drive - The holiday season is right around the corner. Unfortunately, many local families are unable to provide a Thanksgiving dinner for their family. We provide assistance to help families in need celebrate the holidays, but we can’t do it alone. In 2017, we were able sponsor_requests_for_christmas_gving.docxto provide 126 complete Thanksgiving meals to client households. Christmas Giving Program - The holiday season is normally a joyous season filled with family and friends, delicious goodies and special gifts for loved ones. Unfortunately, many local families are unable to provide Christmas gifts for their children. 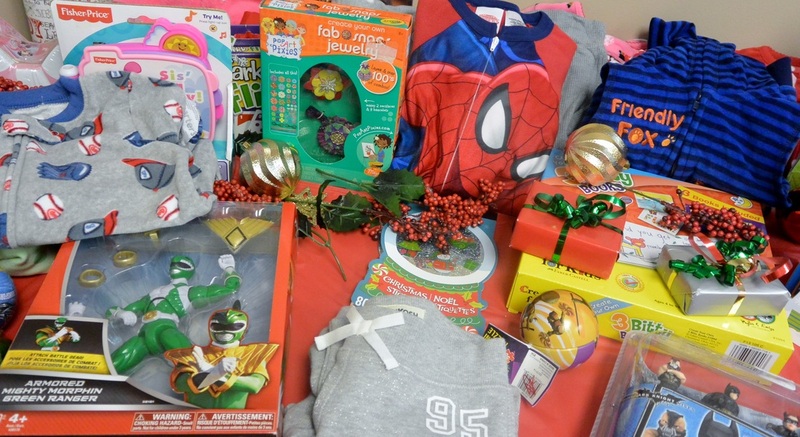 Our Case Management Program assists client families with Christmas for their children. In 2017, over 250 children were able to celebrate Christmas because of the generosity of 82 Christmas Giving Program sponsors. There is no way that we would be able to meet the needs of all these families without a tremendous amount of community support. If you are interested in partnering with Multi-Service to help local families this holiday season, please call 610-367-6957 for more information! If you are interested in making a donation for Thanksgiving, check out our Thanksgiving wishlist. Thanksgiving Meal Drive donations will be accepted between the hours of 8:30 AM - 3:30 PM, Monday - Friday beginning November 1st. Donations made by Friday, November 16th will enable us to assemble the meals and distribute to the families prior to Thanksgiving. If you are interested in sponsoring a child through our Christmas Giving Program, please call! All individuals sponsoring a child will receive a personalized wish list for a child and a letter explaining drop off dates and other program details. Each year we have the privilege of facilitating as members of this community step up to meet the needs of those that are less fortunate. We look forward to seeing the true spirit of the holidays at work again this holiday season. If you would like to make a monetary donation to the above programs, please do so here.